Open up your web browser and start typing a search in the search. Up top in the right hand corner, you'll see the Bing logo. Tap it. 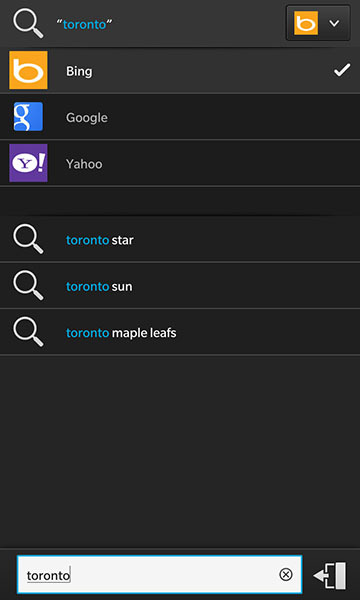 A drop down will appear showing Bing, Google and Yahoo. Set it to whatever you wish and from there on out, it will be set. That's it! You're all set with whatever search provider you choose and you'll never have to worry about it reverting back unless you wipe your device or reset it at some point.